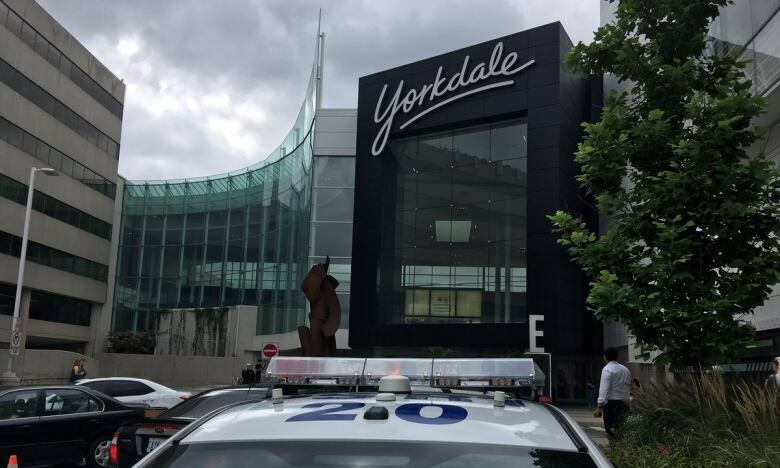 Five security staff people at Yorkdale Shopping Centre were honoured on Sunday for acting quickly in the face of danger during a shooting at the mall last summer. 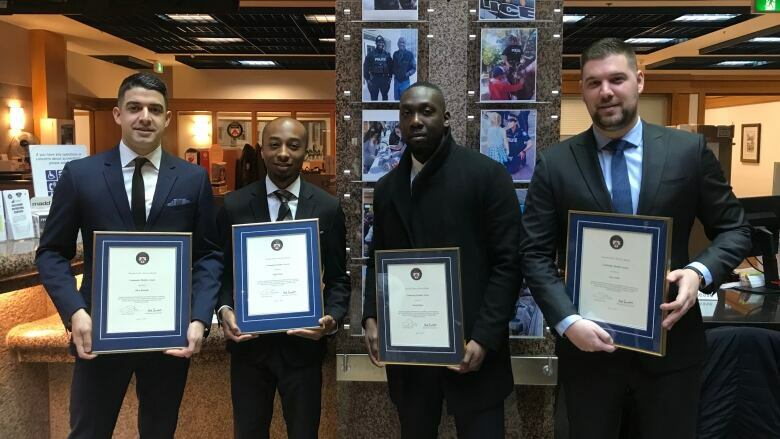 The Toronto Police Service Board and Toronto Police Service gave community member awards to four security guards, Nigel Penny, Shane Palmer, Luca Aiello and Jordell Wolseley, and to one security officer, Marco Rotondo. The guards were recognized for their bravery, while the officer was recognized for his initiative while operating the mall's video surveillance system. According to the board and the police service, the awards recognize "unselfish assistance" given by members of the community to the police. The five are among 38 people given to community member awards on Sunday at a presentation at police headquarters. "For their teamwork and courage, the unarmed guards ran towards the gunfire as everyone else was fleeing from it," the board and police service said in their presentation notes. On August 30, 2018, a Toronto police officer on paid duty at the upscale mall noticed shoppers panicking, running out of the large building and shouting about gunfire inside the sprawling mall. That officer informed a dispatcher about the shooting. "Hundreds of shoppers were fleeing out of the mall and the scene was one of panic, hysteria and chaos," the board said. "Not being familiar with the internal layout of the mall, the officer requested assistance of security guards. Within a few minutes security guards had a male in their custody." Additional Toronto police officers arrived and the four guards helped the officers to search and clear stores to make sure employees and shoppers were safe. While the guards were in the mall helping officers, Rotondo provide descriptions to police of the last known direction of travel of suspects and a description of their getaway vehicle. Rotondo also took calls from store tenants who had customers on their premises and were distressed. He told emergency responders about the situation and fielded calls from concerned shoppers about missing people. As well, he ensured that articles left behind in the chaos were returned to their rightful owners who had been forced to leave. Because of the descriptions he provided, officers were to arrest other suspects quickly. At the time, police said they believed that two groups of males had an altercation and that two shots were fired. A man was arrested outside of Trenton, Ont. and charged within a week of the shooting.